An implant is a fantastic option to replace a missing tooth for many patient. An oral surgeon places an titanium implant in the jaw bone where a tooth has been lost. 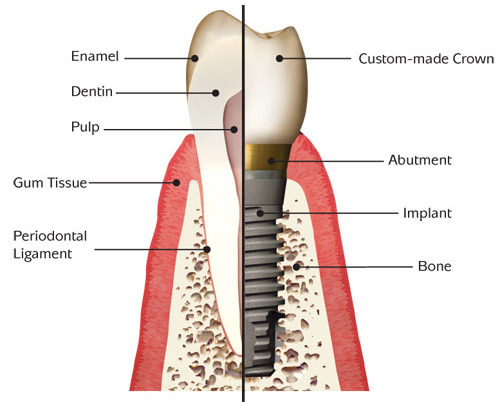 The bone then heals and integrates into the implant, making it solid and able to function as a tooth root. We then place a crown on top of the implant to restore your chewing function in the area.